I’m officially halfway through my pregnancy, and a lot has changed beyond the size of my beautiful, growing belly. I’ve learned a hard lesson over the past few weeks: I’m not superwoman. I’ve had to tweak my exercise sessions a bit to stay comfortable. Since I’m an endurance athlete, accepting my new limits has been tough. But I am more than willing to do everything in my power to keep my little guy safe and sound until December. I fell into a workout pattern after I was given the green light by my doctor to run in the first trimester. I did 4 runs of 3-5 miles each per week at a pace that was 1:00-1:30 minutes per mile slower than my pre-pregnancy pace. I also spent one day swimming and one day in the gym doing the elliptical and arm weights. I foolishly thought I’d be able to keep up this regimen until 30+ weeks. Around week 18, I knew my workouts needed to change. I felt a sharp pain in my lower abdomen on some runs and this scared me like nothing else. My doctor thinks it’s just bladder spasms. Still, experiencing any pain near where baby is made me think that it’s time to slow down now. Don’t plan anything. Choose exercise for the day based on how I’m feeling that day. A run, a walk, or a nap on the couch all work. Replace some runs with swims. Eventually, I’ll completely give up running in favor of swimming. Starting now will make the transition much easier to swallow once it happens. Ignore the pace. 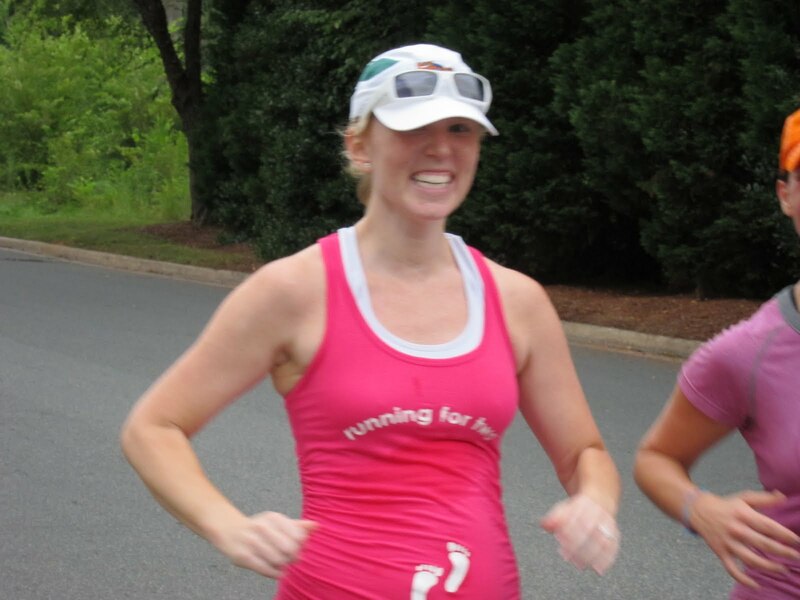 I ran a race at 19 weeks pregnant and had zero abdominal pain. Why? Because I ran really slowly for me, 3:00 minutes per mile slower than my pre-pregnancy pace. If going slow is the key to running further into my pregnancy, I’m happy to do it. Head indoors. The Carolina heat and humidity has officially gotten to be too much for my pregnant body, even on 6:00 am runs. I’m sticking to the treadmill until Fall comes. Take more breaks than I think I need. I now make sure I walk at least once every mile I run, and take a rest break after every 300m in the pool. Stop if I ever feel pain. No workout will ever feel as good as seeing my healthy baby boy in December. If my body tells me to stop, I’ll listen. Be sure to visit Jen at www.runnerstrials.com. Follow her on Twitter, @runnerstrials! So tell us, what are your road rules during pregnancy?